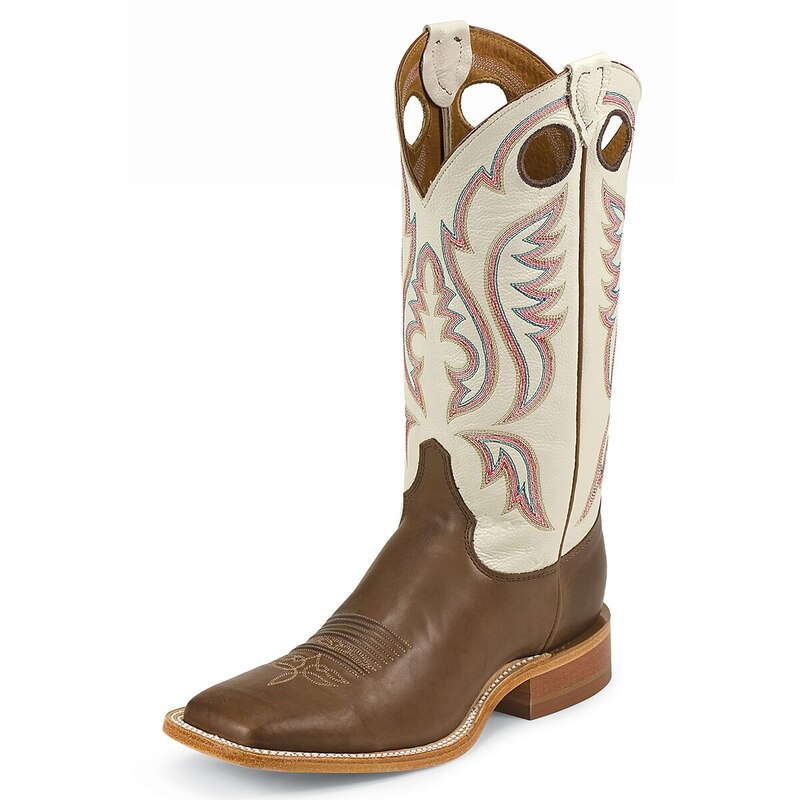 Make strides in the Stillwater Brown 13-inch tall Bent Rail® Men's cowboy boot. Featuring an ivory plush leather upper that provides a subtle backdrop to an inventive and colorful stitch pattern. Its polished chocolate brown foot sports a square toe and standard heel that allows for a relaxed fit. The J-Flex Flexible Comfort System® insole provides lasting comfort wherever this boot may take you. This style is proudly Handcrafted in the USA with imported materials.